The ceiling fan in our library downstairs had started to make a bit of a clicking sound. Other than ignore it, I didn't have much in the way of ideas on how to fix it. 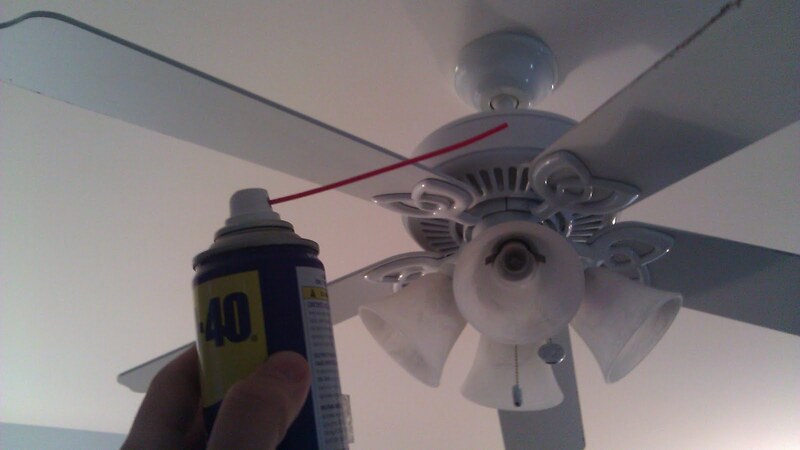 Then it hit me - what if I spray the mechanism with WD-40? Sure enough, after a few seconds, it was back to being quiet. 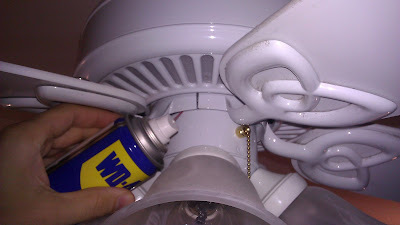 WD-40 easily has thousands of uses, so I shouldn't be surprised it took care of this job so easily. One tip I wasn't aware of, and haven't yet tried, but won't be surprised if I need to: WD-40 can be used to crayon off of wood and upholstery.